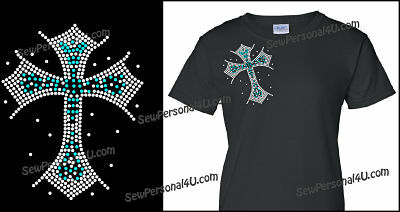 Beautiful 2 color cross design in bling. Share your faith without saying a word. Cross is placed at an angle on upper chest for interest. Shirts are black t-shirts.